9th Annual Carousel of Flavor this Sunday! One of Pottstown’s premier events is taking place this Sunday in the 100 block of High Street – the 9th Annual Carousel of Flavor to benefit The Carousel of Pottstown project. “Delight in tastings from the area’s best restaurants, discover handmade treasures from talented craftspeople, dance to the music, and just simply enjoy this day outside that puts the fun in our favorite Carousel fundraiser!” says the event’s Facebook page. Seventeen area restaurants will be participating. Scout out what’s available, get your food tickets, then go and eat until your stomach’s content. And the wine and beer garden will be double in size this year. The Carousel of Flavor runs from 12-4 pm. Thousands of visitors come out and every year it grows bigger; 7,000-8,000 are predicted to turn out this year. Get there early. For more info on what it’s all about, check out The Mercury’s story from yesterday here. A “Party in Pink” Zumbathon Fundraiser will be held on Saturday, October 6 from 7:00pm to 9:00pm at Outshine Dance & Fitness located at 1646 West High Street in Stowe. This event will raise funds for the Susan G. Komen for the Cure Foundation to help with breast cancer awareness and research. Seven Zumba Fitness instructors from the Pottstown area will lead the dances, which boost aerobic and strength fitness through dance movements set to fun Latin and international rhythms. The event is open to the public, however advance reservations are strongly recommended. Tickets are on sale now in exchange for a donation of $15 in advance or $20 at the door. No experience is necessary. Participants should wear comfortable workout clothing (pink is encouraged!) and appropriate exercise sneakers. Check out the event Facebook page here. FREE Family Fun Fair at First United Methodist tomorrow! First United Methodist Church, 414 E. High St., Pottstown, is hosting a FALL FAMILY FUN FAIR that is FREE to ALL on Saturday, September 29 from 11 to 3. This is a celebration of their 175 years in the Pottstown community! There will be hot dogs, cupcakes, games with prizes, and crafts. They’ll have a bounce house, juggler, face painter, washable tattoo artist, balloon-animal maker, and fish pond. One of the highlights is a puppet show in the Community Room at 1:00. Please join in for a FREE fun-filled day! Stop by before or after a visit to Pottstown Airport Day! Pottstown Airport Day this Saturday! This Saturday, September 29, 2012 is Pottstown Municipal Airport Day! Local volunteer pilots will be giving FREE airplane rides to kids aged 8-17 years from 10 am – 3 pm, as part of the Young Eagle Rally sponsored by the EAA (Experimental Aircraft Association) Local Chapter 1250. The rides are weather dependent, and subject to availability of pilots and aircraft. Parent or guardian signature will be required. Rain-or-shine ground events will include activities for younger children (paper airplane contests! ), as well as information about learning to fly. Airplanes will be displayed for an up-close look. FREE hotdogs and chips will be available. Pottstown Municipal Airport is located at 1149 Glasgow Street, Pottstown, PA. Questions can be sent to PottstownMuniAirportDay@comcast.net. On Friday, October 5, from 10:00am to 2:00 pm, homeschoolers are invited to historic Pottsgrove Manor for a fun-filled and educational field trip that will let them explore the skills, trades, and pastimes of the 18thcentury. Around the grounds, children will be able to participate in hands-on activities led by Pottsgrove Manor’s staff and volunteers, including candle-dipping, quill pen writing, historic toys and games, laundry, and colonial dress-up. Guests will get to visit with farm animals like sheep and rabbits and learn how their hair would be spun into yarn. 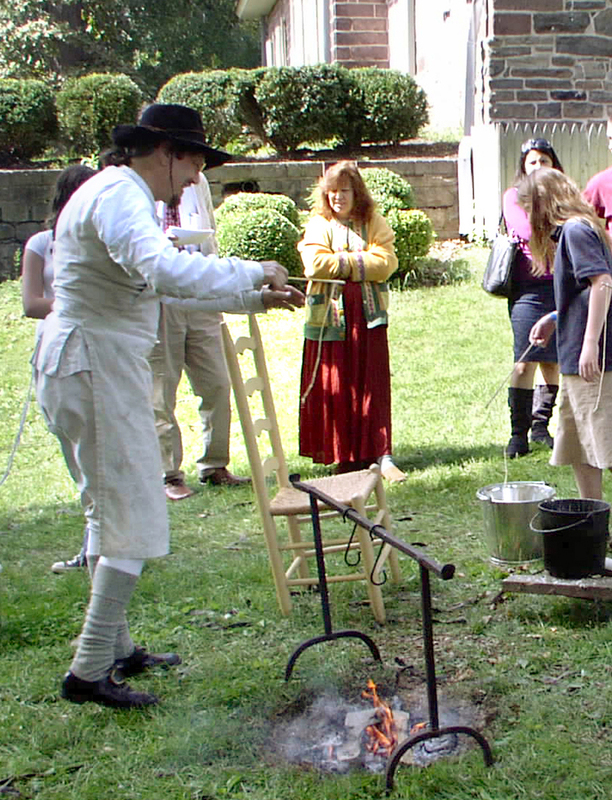 Participants will also see demonstrations of 18th-century crafts, open-hearth cooking, and food preservation. The first floor of the Pottsgrove Manor mansion will be open for self-guided tours, with volunteers stationed in the rooms to share the house’s history and answer questions. The museum shop will be open for the purchase of books, games, souvenirs, and more. This program is ideal for elementary-aged students and is open to individual homeschool families, homeschool groups, and small school and church groups. The cost is $5 per child. Call 610-326-4014 to pre-register or for more information. Activities will be ongoing throughout the day; allow at least two hours for the visit. As most activities will be outdoors, this program will be held weather-permitting. Limited parking and handicapped spots are available in the Pottsgrove Manor parking lot. Visitors may also park directly across on King Street in the Quality Inn parking lot. Pottsgrove Manor, home of John Potts, colonial ironmaster and founder of Pottstown, is located at 100 West King Street near the intersection of King Street and Route 100, just off Route 422, in Pottstown, Pennsylvania. Pottsgrove Manor is operated by Montgomery County under the direction of the Parks and Heritage Services Division of the Assets and Infrastructure Department. Regular museum hours are Tuesday to Saturday, 10:00am to 4:00 pm and Sunday, 1:00pm to 4:00pm. Tours are given on the hour. The last tour of the day begins at 3:00pm. Groups of 10 or more should pre-register by calling 610-326-4014. For more information and a full calendar of events, visit the website at http://historicsites.montcopa.org/pottsgrovemanor. Like Pottsgrove Manor on Facebook at http://www.facebook.com/PottsgroveManor. In what is turning out to be a day for education-related posts, please see Frank Otto’s Mercury story today about Assistant Superintendent Jeffrey Sparagana agreeing to put off his retirement in order to become acting Superintendent through this school year as the district seeks a permanent replacement for Dr. Reed Lindley, who resigned unexpectedly on September 20th. A huge “thank you” goes out to Dr. Sparagana and his family for continuing to serve the community in this capacity. “Pottstown Asst. Superintendent Sparagana to put off retirement” by Frank Otto. “The A Team Pottstown” is a parent/caregiver, educator, professional group providing support for families dealing with Autism Spectrum Disorders. They meet at the Pottstown branch of the Freedom Valley YMCA on the 1st Thursday of the month at 6:30pm. They have open discussions and guest speakers. Whether your family has a new diagnosis or you’re more experienced, all are welcome! The Freedom Valley YMCA is located at 724 N. Adams Street, Pottstown, PA 19464. You can also visit their Facebook page to meet folks in this community and join in the discussions. Right now they are taking a poll about whether families would be interested in attending the occasional sensory friendly, family friendly film at the new Carmike 12 at Upland Square Shopping Center in Pottsgrove. Sensory friendly means there’s lower volume and the lights are up a bit so it’s not so dark for the kids. Carmike is open to it if there is enough interest. Seems like a reasonable accommodation that could provide a positive social experience for individuals with ASD and their families. See the 1-question poll here! Last spring area residents were treated to a concert of Eastern Slavic music performed by a stellar group of singers known as the Westminster Slavic Choir. If you would like to re-experience that uplifting afternoon or hear the Choir for the first time, a professionally produced DVD and CD are now available. CD’s are $15 and DVD’s are $20. See ordering details below. 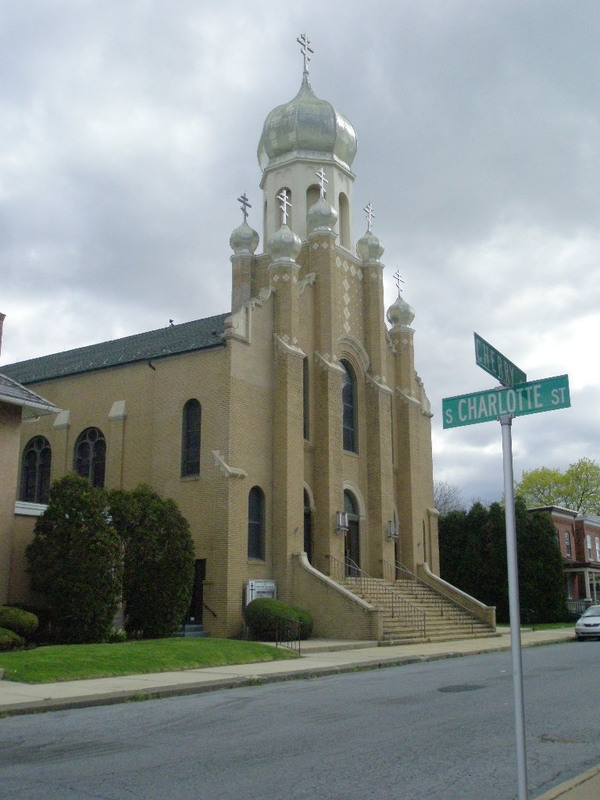 The concert was performed by the Westminster Slavic Choir in April at St. John The Baptist Byzantine Catholic Church, Pottstown, Pa. The well-attended, acclaimed performance included works by composers Bortniansky, Vedel, Tchaikovsky, Rimsky-Korsakov, and Hurko, as well as traditional chant. Selections were performed in English as well as Old Slavonic. 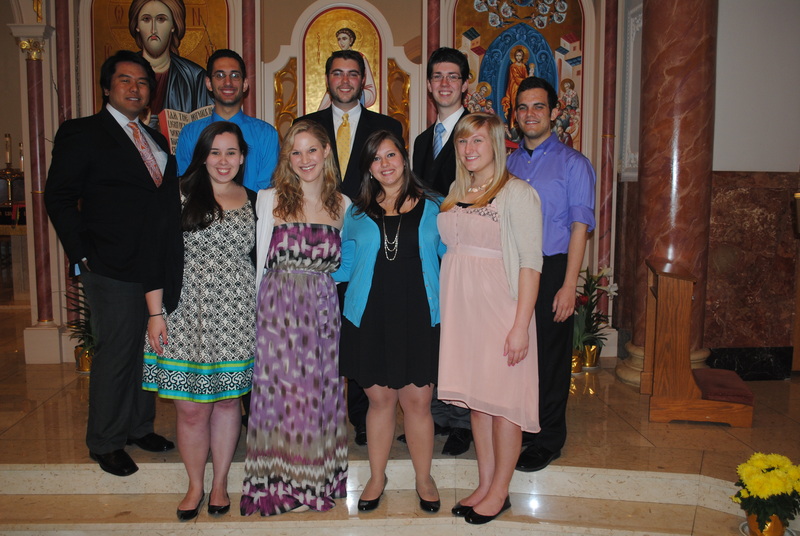 The Westminster Slavic Choir features students of Westminster Choir College, Princeton, N.J. The vocalists all are either vocal performance or music education majors at Westminster, a division of Westminster College of the Arts, a residential college of music located in Princeton, N.J. Westminster is a four-year music college and graduate school that prepares men and women for careers as professional performers and as music leaders in schools, universities, churches, and professional and community music organizations. As Westminster Choir College students, the talented young men and women of the Slavic Choir join their peers in performing with the world’s leading orchestras in venues ranging from the Kimmel Center in Philadelphia to Carnegie Hall and Lincoln Center in New York. The chamber choir is directed by Andrew Skitko, a native of Pottstown, Pa. Andrew has begun his master’s degree in vocal performance at Westminster this fall. Andrew also serves as the cantor and music director at The Assumption of The Virgin Mary Byzantine Catholic Church of Trenton, N.J. (Very Rev. Gregory Noga, pastor),where the Westminster Slavic Choir performs about once a month. Andrew also assists at St. John’s in Pottstown, his home parish and where he first began cantoring (Fr. Nicholas DeProspero, pastor). Recently Andrew participated in a seminar focusing on the interpretation of Slavic church music at St. Vladimir’s Orthodox Seminary with leading expert Vladimir Gorbik, choral director at the Moscow Representation Church of the Holy Trinity-St. Sergius Monastery, and Artistic Director and Conductor of the professional men’s chorus formed at the Metochion in Moscow, Russia. To obtain a copy of the DVD and/or CD, please email Andrew at andrewskitko@gmail.com or write to him at 101 Walnut Lane, Princeton, NJ 08540, and include your preference and quantity as well as your mailing address. CD’s are $15 and DVD’s are $20. A 2 CD set of Resurrection Matins & Divine Liturgy is available for $20. The choir is also available for concert and liturgical performance – contact Mr. Skitko for booking information. Pet Fair and MOSAIC Open Garden this Saturday! There are two awesome outdoor events this weekend in Pottstown! #1 The Pottstown Pet Fair 2012 in Smith Family Plaza (right in front of Borough Hall) is welcoming all kinds of pet-related businesses, services, and organizations for a pet- and family-friendly fair. It takes place from 9 am to 3 pm. Evan Brandt’s blog post, “Something to Bark About”, gives all the details, including the fact that there will be ministers on hand from 10 am to 2 pm to bless all animals, although I’m not sure if that includes the 2-legged variety. There will also be a butterfly garden and food vendors. To get to Smith Family Plaza, one of Pottstown’s premier public park spaces, plug 100 E. High Street into your GPS. 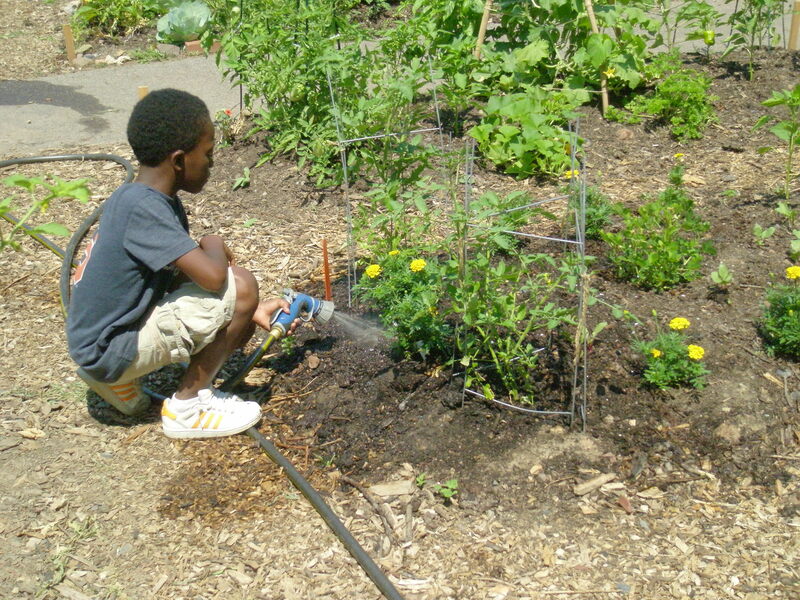 #2 MOSAIC Community Land Trust is holding an Open Garden from 12-2 pm at Pottstown’s first community garden at 423 Chestnut Street between Franklin & Washington Streets! If you’d like to see the many plots that have produced hundreds of pounds of veggies this season, learn how to make salsa, and pick some fresh veggies to take home – depending on what’s available – plan to stop by the garden between 12-2 pm this Saturday, Sept. 22nd. See details here. I am out of town (writing), so I will miss this event, but this was my labor of love this past winter/spring/summer, and I can’t wait to get back and experiment with growing a few crops into early winter. And if you like what you see and hear and taste, you can get on a list for a plot for your family for next year!